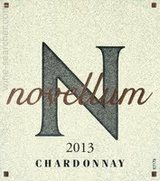 Coming from 100% Chardonnay that was aged on Viognier lees, the 2017 Vin de France Novellum boasts sensational notes of ripe citrus, white flowers, and spice, with loads of classic Catalanes salinity and obvious minerality. Aged in 15% new barrels, it's medium-bodied, has remarkable purity, integrated acidity, and is a total steal at the price. Drink it over the coming 2-4 years.